If being a positive, caring, responsible role model to youth and connecting them to the wonder of Pacific Northwest ecosystems sounds awesome, employment with Camp Fire Wilani might be YOUR spark! Being camp staff is a powerful way to positively affect the lives of young people! POC and LGBTQ candidates and strongly encouraged to apply. 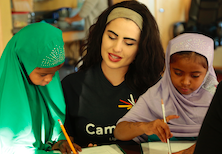 Camp Fire Wilani is welcoming to all people and is a non-sectarian program that values diversity, builds equity, and strives to be a comprehensively inclusive environment. Description: The primary function of our summer camp staff is to provide positive, safe, empowering, inclusive supervision to campers while effectively facilitating Camp Fire Wilani programs. Camp Staff People are the frontline in creating memorable, enriching, enjoyable experiences for participants. They work as a team to support the emotional and physical well being of all campers at Camp Fire’s beautiful Camp Wilani @Havenroot in Veneta, Oregon. 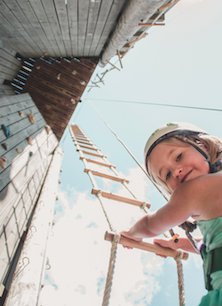 This resident program focuses on developing creative, collaborative, inclusive, fun, adventure-based, and leadership focused experiences for youth age 7-17 of all genders. Located in the Spectacular Oregon Coast Range, Camp Wilani offers exceptional opportunities for hiking, backpacking, team-building, connection to nature, photography and video, art, writing, and more. 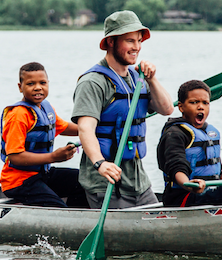 Camp Staff use positive language and behavior at all times and demonstrate the highest standards of healthy living, positive conflict resolution, collaborative decision making, and inclusivity. Cabin Counselor: (The most important job at camp!) 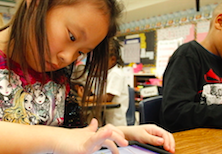 Supervise up to eight campers of the same age and gender identification as their primary mentor and care provider. Bring your individual spark and creativity to your campers. Sleep in a cabin with your cabin group, and create a fun, safe, and inclusive environment for youth. Program Specialist: The program specialist provides specialized activity leadership for campers in disciplines such as archery, arts and crafts, nature hikes, swimming (certified lifeguard), canoeing (certified lifeguard), low ropes challenge course and zipline facilitation (previous experience required), teen leadership, backpacking and more. 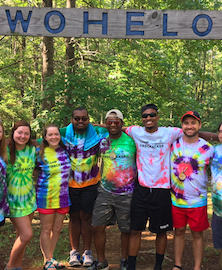 Program Specialists provide afternoon and evening breaks to Cabin Counselors and facilitate all-camp programs, campfires, and other camp-wide needs. Cooks and Kitchen Assistants: Head Cook: Serv-safe Food Safety Manager or similar required + substantial cooking experience for groups over 70 people. Cooks and Kitchen Assistants: Oregon Food Handler’s Card. Summer employment may lead to post-season Outdoor School employment until mid-November, 2019.